I am so delayed on this post -- sorry! A long time ago Lisa sent me a great package with some Crunchmaster products and I am just getting around to blogging about them. Chalk that up to me squirreling these away in my house so nobody else would eat them and then forgetting that I, myself, had to try them. Anyway, I can now report that I have tried Crunchmaster's products and am happy to say that they are great! I received the company's 7 Ancient Grains - Hint of Sea Salt cracker along with the company's White Cheddar flavor. I'm generally not a big fan of cheddar so, while I enjoyed the cheddar chips, the Hint of Sea Salt chips were definitely my preferred snack. 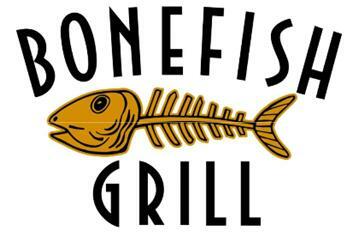 The chips are great, with a satisfying crunch that perfectly complements the company's name. They are terrific for dipping, which was the most common way I ate them (with some great, newly gluten free Sabra hummus). The Hint of Sea Salt crackers are just that -- crackers with a hint of sea salt. All too often I'll try products that have a "hint" of something but that "hint" becomes an overwhelming flavor. Crunchmaster's crackers avoid that and are a great addition to a dip. I'll definitely serve these crackers alongside a hummus or dip the next time I entertain company. They are also pretty low in calories -- for 15 chips there are only 130 calories. That's a lot of chips! It's a snack that you don't have to feel guilty about eating. Even better, I've been noticing the proliferation of Crunchmaster's products in grocery stores. Before the company contacted me, I had not heard or seen the products on the shelves. Now, I'm seeing them everywhere. Perhaps it is because I didn't pay attention before, but now I certainly will be. Crunchmaster's crackers are a great addition to your gluten free diet! While I was visiting my sister in Asheville we headed to a new restaurant, Plant, to check out the menu. The restaurant is located on a busy road and may not look like much from the outside, but inside the restaurant has a tranquil setting and a beautiful open kitchen. After being seated I asked the waitress about the gluten free options available and she assured me that many of the dishes could be prepared could be made gluten free. I ordered the raw enchiladas; I thought back to my amazing experience in Denver when I had raw lasagna at Leaf (in Boulder). I thought I would try something similar at Plant and was happy once I took my first bite. The dish was spicy and had great flavoring. 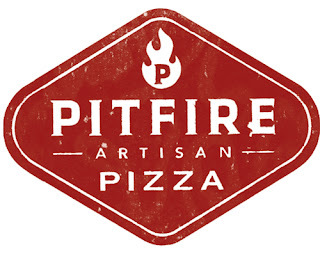 I would definitely go back to Plant to check out some of the other gluten free options. I'm sorry this post isn't longer -- it has been too long since I went! , I knew I needed to explore the city. If you haven't read the book I strongly suggest you do; if you truly dislike reading I suppose you can rent the movie but be warned that it doesn't hold a candle to the book. There's a reason that the book was a bestseller! Anyway, I started off the day with a tour by Savannah Dan after finding him through a quick Google Search. I had a fantastic time with Dan as he walked the small tour group through some of the city's 22 squares. 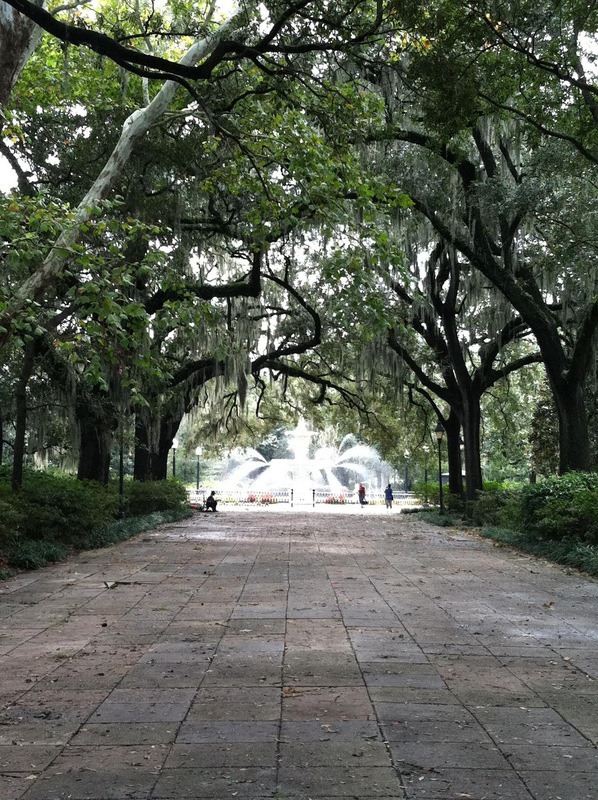 Savannah is a beautiful city with very interesting history and, much to my liking, the historic core is supremely walkable. After living in Los Angeles for three years I truly appreciate a city through which one can walk. I will update this post with pictures once I can load them from my camera -- I know, I know, I'm so 20th century... that iPhone 4S can't come soon enough (three days)! Once the tour was over I asked Savannah Dan for restaurant recommendations. He recommended The Olde Pink House, a restaurant just a stone's throw from where the tour ended in Reynolds Square. I sauntered over to the restaurant and was surprised by the decor inside. It is immediately apparent that there is a lot of history in the restaurant and, once seated, I asked my waitress how old the restaurant is. 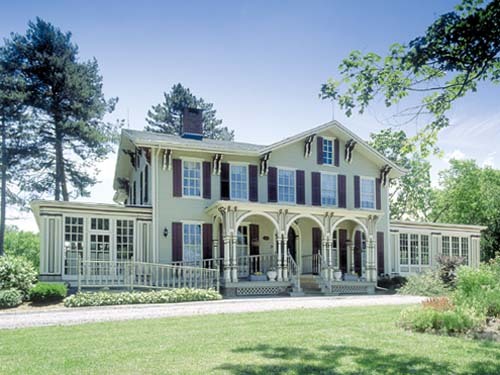 She told me that it is more than two-hundred years old, built before the Revolutionary War. It was great to eat in such a historic place! When I asked the waitress about a specific item I was interested in on the menu and its ability to be made gluten free, she said "Oh y'all should have told me! We have a gluten free menu. Let me go over and get it for y'all." I love southern hospitality! She brought me back the gluten free menu and my decision was quickly made in favor of the Fish Tacos. I also ordered the pink lemonade, in the spirit of being in the South. While a mint julep sounded nice, I wasn't ready for alcohol that early in the day. The Fish Tacos were served in a deconstructed manner with three blue corn tortillas that appeared to have been baked; they weren't completely crispy but were definitely crispier than a normal soft taco. Also on the plank on which the Tacos were served: guacamole, mahi mahi with cilantro sauce, chopped lettuce, pico de gallo, cheese and sour cream. I really enjoyed the deconstructed manner in which the dish was served because I was able to decide how much guac, cheese, or pico de gallo I wanted on each taco. The tortillas were delicious too! I was so surprised that The Olde Pink House was so ready with a gluten free menu; I wish I had asked right when I walked in! This is definitely a great spot, particularly if you have just taken a tour by Savannah Dan, which I definitely recommended. Overall, a terrific trip to Savannah! The same we had dinner at Posana (full recap on that here), we made the rather simple decision to venture to Posana for the next day's breakfast. The breakfast would be our final meal in Asheville and after such a terrific and completely gluten free dinner, we didn't think it smart to skip out on an opportunity to sample the restaurant's dishes. We arrived to Posana soon after it opened with eager stomachs. After perusing the menu I immediately knew that I was going to order the french toast; I mean, how often is it that a Celiac can order french toast? It was so amazing to have the entire menu at my disposal. After living with Celiac for the past 6+ years, I am unaccustomed to such options; it seems like a million years ago when I could look at a menu and have my pick without concern. Anyway, my sister went with the Quiche du Jour which was being made with peppers that day. Both the french toast and the quiche were excellent! The french toast wasn't soaked through as I remember it being in my pre-Celiac days. Instead, it became especially delicious with the maple syrup served alongside it. In addition to our meals, we took some food to go. The previous night, we had been told that the restaurant made lots of pastries and that they encouraged people to take them on the road with them. Obviously I had no qualms with that, so I purchased a to-go box for our long car ride. As you can tell from the picture, I didn't skimp on the pastries. Included in the box was a Pecan pie, a pumpkin scone, a chocolate raspberry muffin and a chocolate raspberry scone. They were all just as delicious as the breakfast and the dinner the night before. Posana will probably remain my best gluten free dining experience for some time. If you live anywhere close, or are looking for a great gluten free destination, check out Posana and, more generally, Asheville. I'll have more posts about Asheville's other gluten free options soon! UPDATE 3: I've been my second tour of the South recently, starting in Asheville, NC. While I was in Asheville I hit up some of my regular favorites like Tupelo Honey and will definitely be updating some of my previous posts; I also took a day trip to Greenville, SC with my sister and her boyfriend on her birthday and while there walked through the beautiful Falls Park on the Reedy. This time we visited Tupelo Honey's second location in Asheville. I was excited to hear that Tupelo now has a full gluten free menu available and quickly decided on the Catfish with grits. They also had a great flourless chocolate cake for dessert and, as my motto goes, "No dessert left behind." Both the catfish with grits and the flourless chocolate cake were good; however I definitely preferred the shrimp and grits that I previously ordered at Tupelo and the apple pie dessert that was featured last time. UPDATE 2: When my parents arrived in Asheville we started planning our meals together. They were dying to check out my sister's employer, so we scratched The Admiral from our list (see ya next time!) and I made a second visit to Tupelo. For my parents it was a special treat; for me it was a chance to check out more of the restaurants gluten free options. This time around I ordered the shrimp and goat cheese grits. I was thinking about going back to the Cajun Skilled Catfish, but what's the fun in that? The shrimp and grits were outstanding! I was a big fan of Tupelo's grits after my first experience with them (read above for my full reaction) and decided to go back for more. The dish was served with a spicy red pepper sauce and was absolutely phenomenal. I also tried the Raspberry Sour Patch Fizz with Luksusowa Vodak which was fantastic. For dessert I ordered up the gluten free apple pie dessert and was astounded by how great it was. I can't remember the last time I had apple pie, much less a delicious and gluten free apple pie! As the waitress at Tupelo said -- "Go ahead; lick the plate." I recently had the chance to visit my sister in Asheville, North Carolina. She moved down in July and I've been clamoring to visit ever since; people everywhere have told me what a great city it is. Well I've finally had the chance to visit and can say that it's terrific! I'm blogging from a great internet café here in Asheville and am impressed by the friendliness of the people here. Last night, after I arrived, we headed to the restaurant where my sister works: Tupelo Honey Café. There was a twenty-minute wait, which my sister told me is normal because it's a popular restaurant in Asheville's downtown area. We sat in the back of the restaurant with a raucous group of women who were also waiting for their tables. I briefly perused the drink menu and was happy to see that the restaurant offered to make many of its drinks with potato vodka. I haven't had a great vodka drink in a long time but, when I saw those options, I knew I had to order one. You can check out the drink menu here. We were eventually seated and soon after I inquired about the gluten free menu. The hostess brought over a typed-up paper which detailed the restaurant's gluten free options. I ordered the Cajun Skillet Catfish and, as my drink, Jamie's Hard Lemonade. It was a tough decision for me between the Cajun Skillet Catfish and the Grilled Cheese on gluten free bread with a side of tomato soup, but I ultimately went with the catfish -- I'm not much of a grilled cheese fan, I guess. The drink and the hard lemonade were both excellent! It's been a long time since I had a hard lemonade and this one definitely hit the spot -- not too sweet and not too alcoholic. The Catfish was excellent as well and served with grits. This was my first experience with grits; my sister was nervous to have me order some of the other dishes that heavily featured grits. But I figured that if Britney Spears likes grits, how could I not? The restaurant served the grits in a way so they had a consistency that is similar to polenta, one of my favorite foods. I loved Tupelo Honey Café; they also brought me over some Rudi's bread and jam before my meal while my sister snacked on the restaurant's signature biscuits. I am excited to continue my eating tour through Asheville! More posts soon. While perusing New York Magazine today, I saw a headline which said "Jennifer Esposito goes Gluten-Free at Goat Town." I was perplexed because I had never heard of Goat Town as a gluten free friendly restaurant in New York and I had no idea Jennifer Esposito is gluten free! 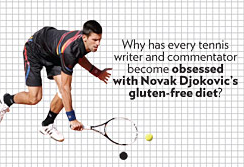 Just another gluten free celebrity to join the ranks of Elisabeth, Zooey, and Gwyneth. If you don't recognize the actress by her name, the photo above should help out. If it doesn't, check out her IMDB profile here, which includes such hits as Crash and Summer of Sam. If you still don't recognize her (or even if you do), and you're a NetFlix member, do yourself a favor and stream "Samantha Who?" The show was underrated when it was on the air and sadly only lived for two seasons, but it's an enjoyable sitcom with the comedic talents of Ms. Esposito, Christina Applegate, and Melissa McCarthy, the last of whom is coming off an Emmy win for Mike & Molly (and a scene-stealing performance in Bridesmaids). Anyway, the article follows Esposito as she traverses New York City while keeping a gluten free diet. It also mentions a non-profit she is starting, called Jennifer's Way, meant to educate others about Celiac Disease. The website advertises a launch date of October 10th, so I will be sure to update this post once the organization posts more information. "Actress Jennifer Esposito Goes Gluten-Free at Goat Town, Bakes Lots of Scones for Dr. Oz"
I'm a huge fan of Larabar's products -- check out my previous post on Larabar here. 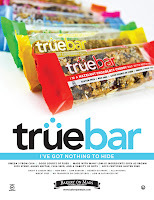 All of them are gluten free and practically soy free, dairy free and vegan -- because the chocolate chips used in some of the company's bars share a product line with milk chocolate chips they cannot label bars using chocolate chips soy and dairy free or vegan. The full explanation is here on the site. Regardless, for us gluten free folk, Larabar is a great go-to bar that travels well because it doesn't melt. I also appreciate that I can pronounce the ingredients in the bars. In the company's newest flavor, Chocolate Chip Cherry Torte, there are just 6 simple ingredients: dates, Fair Trade Certified chocolate chips, almonds, unsweetened cherries, cashews, and sea salt. Larabar sent me a package containing four bars and promotional material recently and I could barely wait to take the bars for a taste test. I really enjoyed the Chocolate Chip Cherry Torte bar. It's a great mix between some of the company's fruity bars, such as the Cherry Pie, and my preferred bars, the chocolate ones. The cherry flavor isn't quite as intense as the company's Cherry Pie flavor, probably owing to the chocolate chips. They definitely help make the cherry flavor a bit more subtle while still keeping it intact. I'll definitely add this bar to my list of favorites. I don't have additional details as to when they will be on store shelves, but keep your eyes peeled! Hopefully we will be seeing more bars in the Chocolate Chip variety from Larabar; I'm hooked! My friend Sarah alerted me to the news today that Babycakes is opening up a shop on Larchmont. I was wondering how I could have missed this and then realized that the information went public while I was traveling -- whoops! The full Eater post with lots of information can be found here. Details are scarce, but I'm sure the new location will continue serving awesome donuts, waffles, cookie sandwiches (my favorite! ), and cupcakes as they have in the post. Check out some of my previous posts on Babycakes' Los Angeles location here, the New York location here, and the Downtown Disney location here. book, I found out about Chokladfabriken. I knew I had to visit based on the description, which describes the place as a place that "cocoa addicts" swear by. After visiting, I can definitely say that this place holds up to that promise. The shop also has lots of gluten free options available! The day I visited they had a chocolate lime cake which was delicious. If you are looking for a great, gluten free treat in Stockholm, definitely check out Chokladfabriken. From their website, it appears they have a location in Tokyo too. Follow a stop at Chokladfabriken with dinner at Hermans Tradgardscafe and you'll have a terrific and gluten free end to your day! 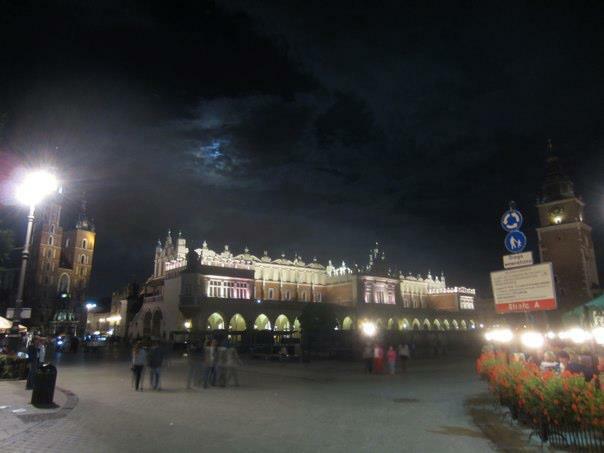 My friend Lauren and I arrived to Krakow at night after a ~4.5 hour train from Warsaw. We hopped into a cab to head to our accommodations and were pleasantly surprised to see that we were very close to the city's main square. After unpacking, we headed out for a walk and ultimately decided to split a bottle of wine on the square. Warsaw was a great city, particularly as a starting point for Lauren's EuroTrip, but we both noticed Krakow's vibrant energy almost immediately upon our arrival. The next morning we walked out onto the streets of Krakow and saw a Cupcake Corner Bakery right next door. We couldn't resist stopping in (and by we, I mean I couldn't resist) and I was pleasantly surprised to see that the bakery offers a gluten free cupcake! The chocolate cashew cupcake is offered daily and is a "decadent flourless chocolate brownie." Obviously I couldn't go without trying it. 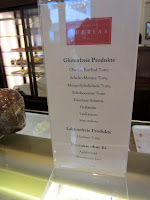 It was very good; it wasn't as light as Oberlaa's gluten free pastries in Vienna and instead had a rich chocolate flavor. The cashews on top were a unique addition which I also enjoyed. The shop also had a very welcoming, airy interior. It is a great place to bring a newspaper or a book and spend a few hours with a cup of coffee and a cupcake. 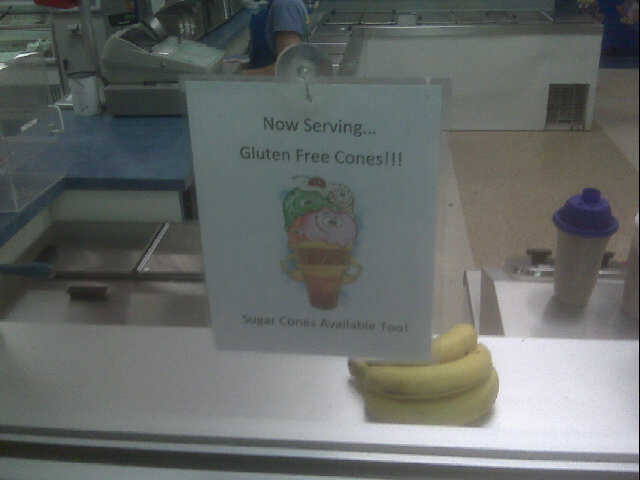 The other flavors also looked delicious -- here's hoping that Cupcake Corner has more gluten free options available soon! You can see a closer shot of the Chocolate Cashew cupcake here, on the bakery's official site. The site describes the shop as an "authentic" American experience. The people working at the shop spoke perfect English and were knowledgeable about my questions regarding the bakery's gluten free option. Lauren and I loved our time in Krakow. It is a beautiful city buzzing with energy and the people were all very friendly. My favorite picture is below and neatly summarizes why I enjoyed Krakow so much. It's a view of the city's main square. On the left-hand side (partially obscured by the street lamp) is St. Mary's Basilica. Lauren and I climbed up a narrow tower in the Basilica to catch some great views over the main square and the entire city. The long building in the center of the image is Sukiennice, an indoor marketplace filled with goods made especially for tourists. Regardless of the goods inside, it is a beautiful building which is well deserving of a walk through. Finally on the right side of the image you see the Town Hall Tower. If you're in Krakow and in need of a gluten free treat, there is nowhere I'd recommend more than Cupcake Corner, right off the city's main square. and Rick Steves' Eastern Europe . While we loved the Lonely Planet and it had some great tips, Rick Steve was truly irreplaceable. His self-guided walking tours clued us in as to the history of buildings and neighborhoods, the different architectural styles, and other great facts. Best of all, many of these guided tours were extremely exact, to the point of telling you to turn a certain amount of degrees in order to view the next landmark he would describe. I'm not trying too plug him too much... but Rick is our homeboy and I wouldn't travel through Europe without him. Anyway, Rick recommended this place Oberlaa in Vienna. Since I was on a "No Dessert Left Behind" trip, I said that we had to check it out. Lauren doesn't quite understand it and I'm not sure I do either, but I love walking into pastry shops. The scent of freshly-baked pastries, the different aesthetic of each shop and the shop's pastries, and the chance to peruse the unique pastries each shop devises is too entertaining for me to pass up, even though most of the time I won't be able to purchase anything. When I walked into Oberlaa, I looked at the glass display cases with bulging eyes and disappointment: I speak no German and, by this point in my trip, had lost my translation card for describing my allergy. 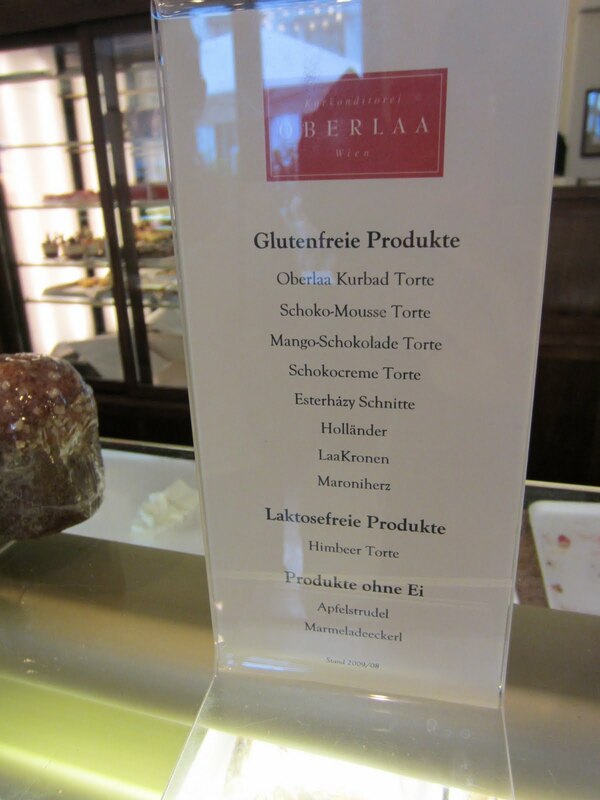 Luckily, that disappointment soon turned into glee as I saw a sign offering a list of Oberlaa's "Glutenfreie" products! I was astounded to see the café had an option let alone various gluten free choices. I coaxed Lauren into splitting two desserts with me... and by splitting, I mean taking a bite out of each one and letting me pig out. Again, "No Dessert Left Behind" was my mantra and when traveling in a foreign country, I feel no need to deprive myself of gluten free treats when I happen upon them. The photo below is the Esterházy Schnitte and it was delicious! It had a bit of a nutty flavor to it, but both Lauren and I enjoyed it. I believe the second dessert we ordered was the Schoko-Mousse Torte, which was also delicious. It was similar to a flourless chocolate cake but much lighter than many such cakes in the U.S. While they can often be too dense, this definitely truly tasted like a mousse cake which was fitting, given its name. Lesson learned: Listen to Rick Steves and you will not be disappointed! On the day we visited the café was serving Viennese people along with tourists. 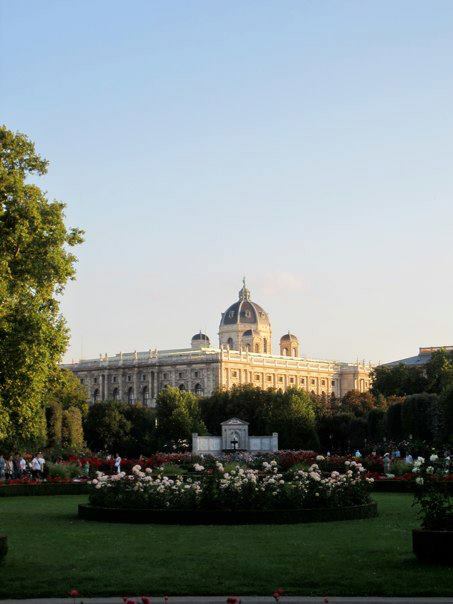 It's a great spot to bring a newspaper and relax after touring all of the great sights that Vienna offers. Walking around the city was akin to walking around a museum; it is an absolutely beautiful city! I believe that there are multiple locations around the city. I apologize for not having more information available below, but my internet sleuthing isn't as good in German as it is in English. Let me begin with an apology: I'm sorry for the recent lack of posting. Between the bar exam and some recent travels, I've been busy and could not find the time to blog. That being said, I'm back with a vengeance and have about 8-10 blog posts lined up for the coming weeks, so get excited for those! Let me kick off this series where my recent travels began: Berlin. I spent the first 10 days of August exploring Berlin and the areas around Berlin. It was a wonderful trip... except for the food. The picture below is my favorite shot of Potsdam, where the German's version of Versailles is located. Stunning! The food! It was so difficult to resist imbibing in German beer, pretzels, and all of the other amazing food. Luckily, my friend Ezra and I were able to find a restaurant with an extensive gluten free menu. Ezra is the first guy I've met who is also gluten free, and we egged each other on to find as much gluten free food as possible in Berlin. I'll have more posts, but for now, it's all about Cha Cha. We went to the location in Berlin on Friedrichstrasse. The street is normally spelled with the letter that looks like a capital "B," but according to some fellow Americans I met that "B" is shorthand for a double ss. If this is wrong, feel free to correct me (and tell me how to insert the "B" into this post)! Anyway, we headed over to Cha Cha to check out the restaurant's gluten free menu. This was about seven days into my 10-day Berlin stint, and by this time I was definitely hankering for some great gluten free food which was guaranteed to be gluten free. I was in luck, as Cha Cha marks its menu with a handy "G" to denote all of the gluten free options. To begin Ezra and I decided to split a chicken satay. For my main course I ordered one of the noodle dishes. Unfortunately I can't seem to find a menu in English right now (although they had them at the restaurant) and it has been a long time, so I can't tell you which dish I ordered. You can check out the full menu here. What I can tell you, however, is that I really enjoyed the food! 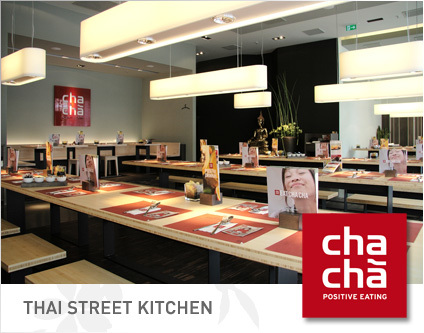 You may know of my love of asian noodle places based on previous post about Wagamama... well Cha Cha is no different. I absolutely loved this place and if I ever find myself in a city where the chain has locations, I will definitely visit. The dish I ordered wasn't swimming in curry and was instead focused on the noodles and was perfectly spiced. The chicken satay we had was also delicious. I digress! I was recently at my local Wegmans with my sister, who had come up to visit and join me in a grocery trip. 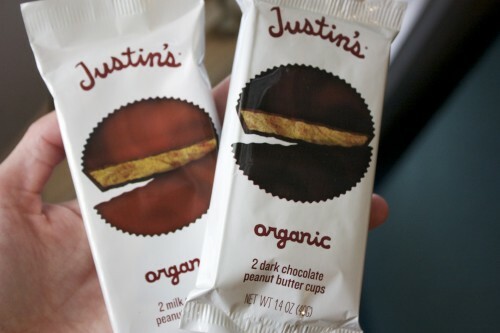 When we were checking out, she convinced me to try Justin's Organic Peanut Butter Cups. While she went for the milk chocolate, I went for the dark chocolate variety. The cups were delicious. I won't go so far as to saying they are better than that other peanut butter cup brand, but they were definitely a great treat. The best part? 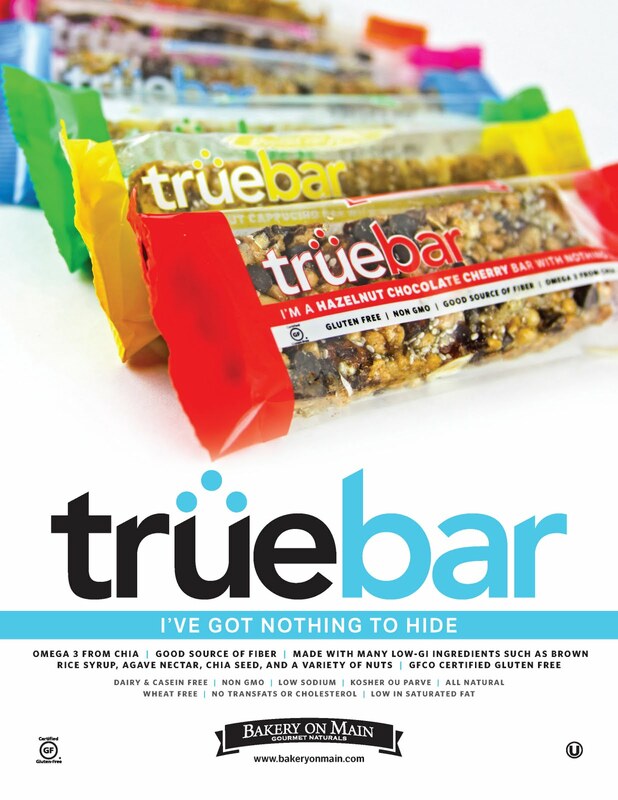 The product carries a "Certified Gluten Free" symbol! While the other candies named above are also gluten free, to see the symbol reassured me that I was making the right decision in picking myself up a treat. I recently went out to dinner in Syracuse's Armory Square with my friend Erin. I'm not expecting much here in Syracuse, but I did have the expectation that when I go to a "Square" it's actually a square. Alas, Syracuse up and disappointed me. Armory Square is not a square, but is instead a few blocks of bars, restaurants, and shops. 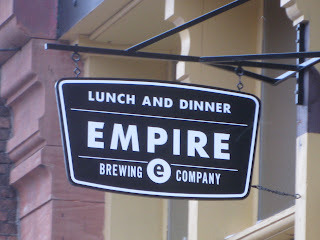 We decided to check out Empire Brewing Company. I was a bit nervous because I didn't see much on the menu but, lo and behold, I asked my waitress about gluten free options and she happily informed me that the restaurant has a gluten free menu. You can check out the menu here, which includes symbols for vegetarian items. I opted for a burger despite it not being labeled gluten free; the waitress told me the restaurant had just obtained gluten free burger buns so I figured I'd give it a shot. The burger was good and the bun was better than having no bread at all. I haven't found a gluten free burger bun that approximates gluten-filled burger buns, and this was no exception. 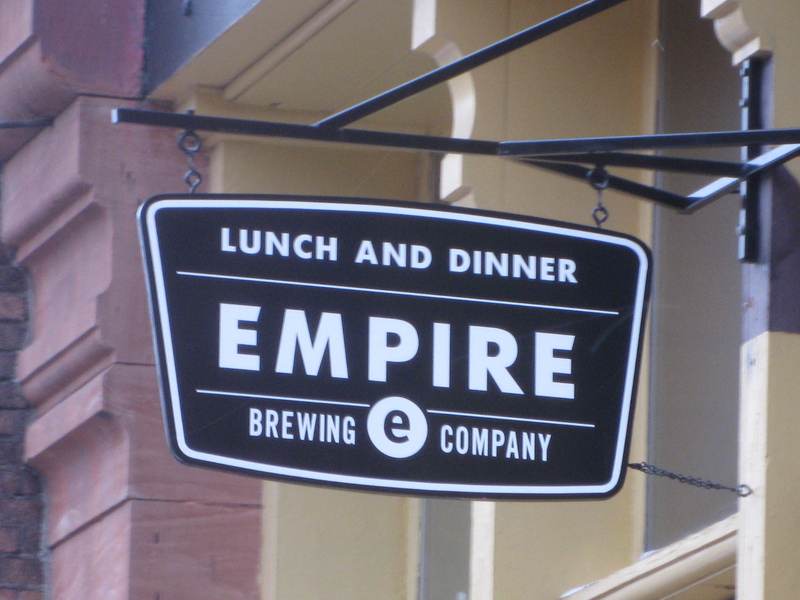 However, as far as gluten free burgers go, Empire Brewing Co. did a good job. I also think the restaurant may serve up Redbridge, but I'm not completely sure about that. My parents and I recently went out close to celebrate their 29th wedding anniversary. 29 years -- amazing! I can't even fathom it, but congratulations to the 'rents. We choosing between two restaurants but ultimately went with Arad Evans Inn. My parents had previously visited Arad Evans but I had never been and was excited to visit after hearing great things about it from them. Upon being seated, I peered over the menu and saw a few dishes that looked good. When our waitress came over, I asked her about one of the dishes and told her that I couldn't eat gluten. I was shocked when she responded by offering me a gluten free menu! I didn't expect Arad Evans to have a gluten free menu and was very pleasantly surprised. She promptly brought the gluten free menu over to me; it was the original menu except it labeled which dishes were "GF" and any substitutions that needed to be made in order to make it gluten free. The same menu also lists dairy free options as "DF." I ordered the Gazpacho as my appetizer and opted for the Halibut en Papillote as my entrée. Even though the last time I had Halibut en Papillote (at Fig & Olive in L.A.) I didn't love it, I gave it another go. After we placed our orders, our waitress told us that she would be bringing bread over. 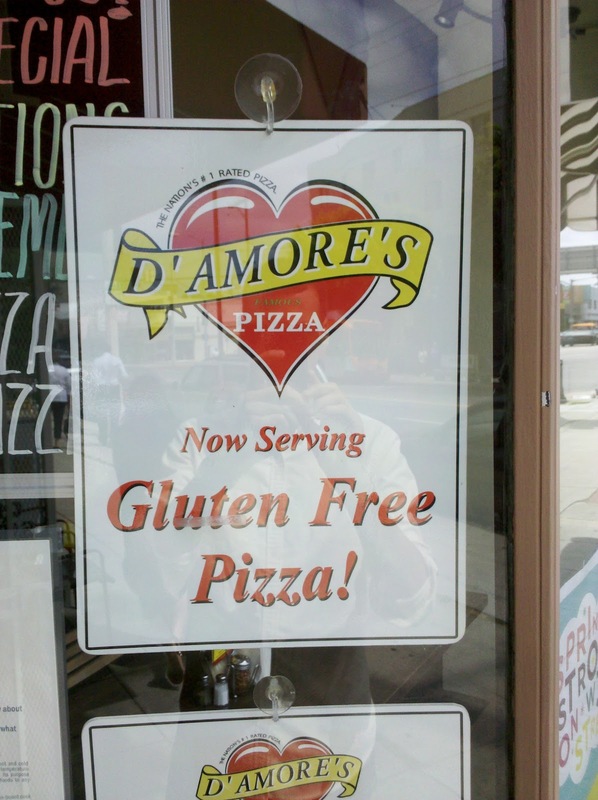 Naturally, after six years of being gluten free, I was expecting to eye it hungrily and not be able to enjoy it. I was floored, shocked, stunned, (insert your favorite synonym for "surprised" here) that the waitress told me she would be bringing me my gluten free bread basket! In six years of being gluten free, I have never heard of that. The bread they brought over was Schar; I've enjoyed the company's products but never like this before. The restaurant seasoned and toasted the bread to perfection. Perhaps I'm exaggerating and am just overjoyed at finally having tasty bread again. Either way, Arad Evans did a great job by serving up great gluten free bread for me. The gazpacho was then brought out with creme fraiche and avocado. The gazpachos I've recently had here in upstate New York have been chunkier than the gazpacho I was used to while living in Madrid. However, the gazpacho was still amazing at Arad Evans Inn and very flavorful. Unfortunately I wasn't as pleased with my halibut. I think the saying "Fool me once, shame on you; fool me twice, shame on me" applies. As earlier mentioned, I didn't enjoy Halibut en Papillote when I ordered it from Fig & Olive but here I gave it another go. The fish was very plain and didn't have a strong flavor. I have definitely learned my lesson and will be staying away from the dish in the future. Overall, Arad Evans Inn impressed me with a gluten free menu, a gluten free bread basket, and an amazing appetizer. 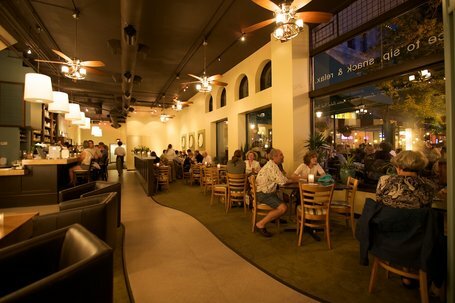 While I didn't love the entrée, I would definitely visit again and try out something different. If you ever find yourself in Syracuse and need a nice gluten free spot, Arad Evans should be your first choice. On a hot Saturday in Manhattan, my friends and I decided to get outside and enjoy the beautiful views from the High Line on the island's west side. It was a great day; not too hot, not too humid. When we met up there my friend Elien immediately notified me that we needed to hit up a frozen yogurt truck around there. After walking around, and checking out the specs for the upcoming expansion of the Line, we descended back to the city's streets and spotted a yogurt truck not more than thirty feet from where we stepped onto the pavement. Upon approaching the truck I was happy to see that the vendor prominently marks the frozen yogurt served as gluten free! 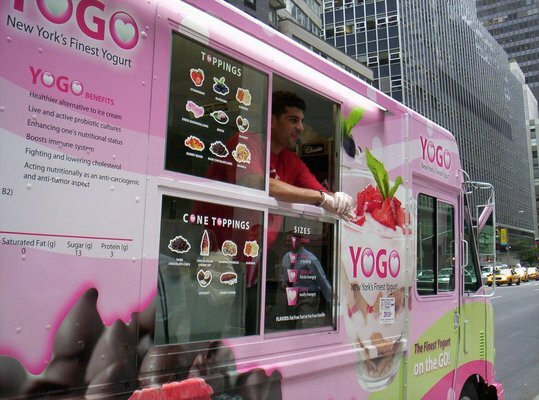 The YOGO Frozen Yogurt Truck may not have a fixed location; check the truck's Facebook. I sampled the chocolate flavor and would definitely have more after my next walk along the High Line. I've received a few tweets, some e-mails, and some comments asking me why my posting has been so light. In a sad bit of news, I've left Los Angeles. I graduated from law school in mid-May and am now studying for the bar exam. Don't worry -- I'll be back in a new city with plenty of updates soon! And for you Angelenos, keep the tips coming, as I'll still be posting about L.A. and (hopefully) making frequent trips back. My posts will be infrequent this summer because of my studies, but keep the tips coming! Thanks to my sister, Alyssa, and my friend, Allison, for passing this article in today's New York Times along. The article has some good baking advice, particularly that one baker's thought that the ideal gluten free mix consists of 70% grain and/or nut flours and 30% starches. The article also includes recipes for Gluten-Free Flour Blend, Gluten-Free Apricot-Walnut Muffins, Gluten-Free Cinnamon Sugar Cake Doughnuts, Gluten-Free Pizza, Gluten-Free Banana Cream Pie, and Gluten-Free Chocolate-Glazed Almond Layer Cake with Cherries. I particularly loved the shout out to Babycakes, although the article neglects to mention that Babycakes also has a location in Downtown Disney in Orlando.